I'm new to the forum - and judging by some of the posts from others - very novice in terms of knowledge of early Liberian. I'm trying to fill in gaps in my own collection, often one or two low value stamps in a set. Can we use this forum to exchange/sell/buy from each other? This category is definitely active, although no one has made use of it so far. Regarding "filling gaps" I know exactly what you mean. Often enough one seems to be forced to buy the whole set again, because single stamps, especially the cheaper ones, are rarely offered. Perhaps you could go ahead and post your want list (Scott numbers) ? As mentioned I have several gaps in my collection that are proving difficult to fill. 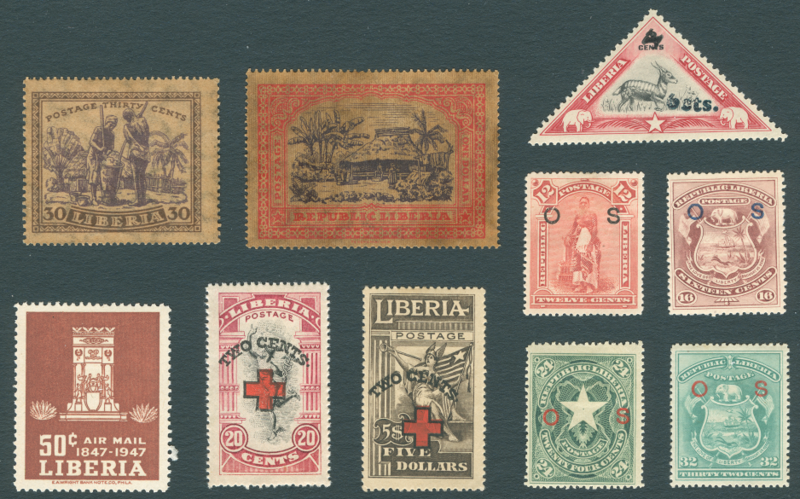 These are mostly individual but low-value stamps that rarely seemed to be offered for sale or exchange. I'm posting details below of the first few that I'm missing. This will only work if several of us join in! 179, 270 and 316 are NH, the rest is hinged (HR). 60 has a rusty perf. at the right side. The 30c only has 2/3, the $1 hardly gum at all on the back, but my own copies aren't much better. The brown paper varieties almost always have gum issues. 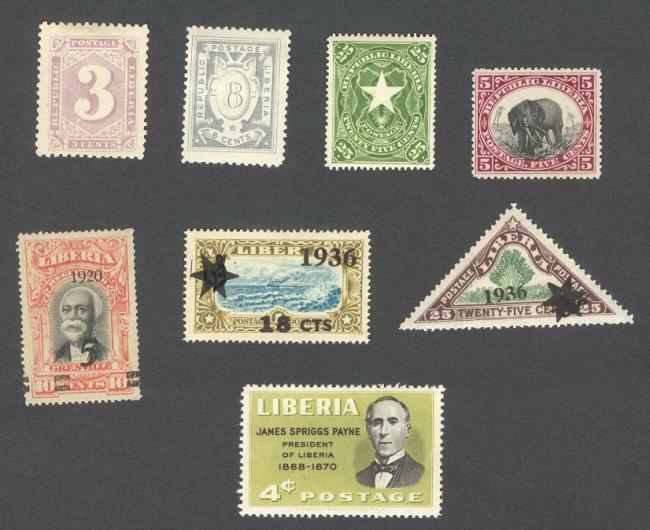 The other stamps are LH to H.
I haven't checked catalog values yet. Just let me know if you want any of these. Here's a few items I would like to add to my collection. I can trade or buy. I am using Scott catalog numbers. All listed are for mint/unused copies.